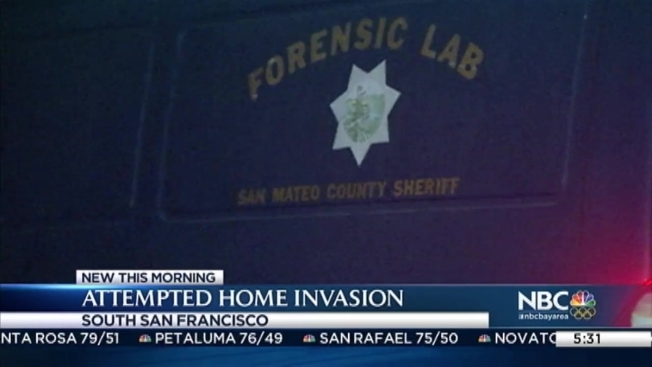 South San Francisco police say a homeowner scared off three masked suspects who tried to kick in his door late Monday night. Of the three suspects, one was armed with a firearm and another was holding a crowbar, police said. The attempted break-in was reported at 10:21 p.m. on the 2400 block of Olympic Drive. The resident said he held the front door of his house and scared off the suspects who were trying to get in. What he did exactly, was not revealed by police, but the suspects took off in a white sedan.